Poultry farming in Nigeria is one of the most profitable business ventures and a wise investment choice for every aspiring entrepreneur. Investing in poultry farming in Nigeria is a sure path to wealth. So many graduates and undergraduates have kept their certificates away and have opted to take poultry farming as their newfound career path. These ones aren’t fools. They can, simply, see what others cannot see. In fact, Poultry Farming is the big thing in Nigeria’s agricultural landscape. Many big businesses, entrepreneurs, retirees, job seekers and other Nigerians in the diaspora are pumping their hard earned wealth into poultry farming in Nigeria. Moreover, anyone with the right knowledge can start and run a poultry farm in Nigeria. This is independent of educational or financial status. In fact, the pioneer poultry farmers were uneducated and had little capital for the initial startup. So, relax. We will elaborate on how to start a poultry farm in Nigeria with little investment and how to run your poultry farm as smoothly as possible. Another interesting fact about poultry farming in Nigeria is that it offers phenomenal returns on investment, within the shortest possible time. The consumer demand four poultry products are as high as 600 million crates of eggs annually, not to mention the amount of chickens consumed annually. In addition, the fast rate of growth of chickens means that you can expect to reap the reward of your labor as soon as possible. Unlike goats that take about 2 to 3 years to mature, a chicken can be ready for the market within 28 weeks from birth. Isn’t that the kind of business to invest in? Is poultry farming in Nigeria profitable? And the longer answer is YES! YES! YES! YES! YES! YES! YES! YES! YES! YES! When it comes to producing the goods, chickens are head and shoulder above the rest. An averagely healthy Layer lays an egg every day, or, at the very least, 4 times a week. In fact, some breeds can potentially lay up to 325 eggs in a year and hatch within 21 days. Technically speaking, a layer can give you another chicken twice in a span of 3 days. To put this into perspective, 500 healthy Layers of a good breed, for example, California white, can potentially produce a staggering 12, 000 chicks within 40 days. These are the kind of numbers that scream huge returns! Unlike other forms of farming, e.g. dairy farming, poultry farming is time friendly because a chicken grows very fast. 28 weeks after hatching, chickens are ready for the market. This fast growth gives the farmer an opportunity to break-even quicker because the farmer can make money after just 24 weeks of setting up a farm. Putting into consideration the speed and size of production in poultry farming, farmers can double their revenue within a year. And not many businesses have this type of growth potential. Chickens sell at an attractive price of between 6 and 8 dollars (2000 to 2, 500 Naira in Nigeria). With this price, a farmer producing 12, 000 chickens roughly makes around 77, 000 dollars, which adds up to 24 million Naira by the time all of them are sold. With chickens, a farmer can service two markets: The chicken market and the Eggs market. So, if one market is doing poorly, a farmer can make a profit in the other market. The Egg market is my favorite. A crate of small eggs fetches around 2 dollars (850 Naira) while a crate of big eggs goes for around 2.5 dollars (1000 Naira). A crate of eggs carries 30 eggs so if a farmer has 500 layers which produce 12, 000 eggs in a month, she/he will be making in the region of 820 dollars (260, 000 Naira) per month. Not bad huh! Nigerians are always celebrating one thing or the other. From wedding ceremonies to birthday parties, and the likes. What this implies is that you will always have a place to market your products no matter the season. We can as well conclude that the sale of chicken isn’t seasonal if you know how to market your poultry farm business in Nigeria. Now that you are convinced that poultry farming is the way to go, it is important to have a business plan. When starting a business, a business plan is a must-have. A business plan contains all essential information pertaining a particular business. This decision, of which type of poultry bird to raise, is a dilemma for most intending farmers. While there are many birds a farmer can choose to invest in including goose, duck, and turkey among others, this article focuses on Chickens. The best way to decide the type of bird is to carry out a brief study f your potential market and find out whether it is better to raise your chickens for meat (Broilers) or eggs (layers). 2) What you want your customers to know you for? As earlier mentioned, you have to choose the type of bird to populate your poultry farm with. Nonetheless, Poultry farming is even more diverse than just eggs and meat. While Layers and Broilers breeding can be done together, hatchery and poultry are better when done independently. When choosing a location, bear in mind that it has a direct impact on the startup cost you are likely to incur. The ideal place for starting poultry farming would be in a remote rural area, which is serviced by a good road. In such a location, you will face lower labor costs and enjoy some freedom from the prying eyes of the regulatory agencies that, while good, can derail your progress. An urban location is attractive for various reasons, like proximity to potential market, but as a newbie in livestock, you don’t want to spend all your capital on buying land, which is sold at a premium in these areas. Another downside of aiming an urban location is the regulations put in place by various government agencies, which bar the establishments of poultry farms near urban or residential areas due to different health risks posed by such establishments. Sorting the location will give you an idea of the capital required to set up the farm. Like in other businesses, the bigger you plan to start, the higher the amount of capital you will need. Armed with a business plan, the next thing in the schedule of an aspiring poultry farmer is subsequently setting up and launching of the farm. To correctly set up a poultry farm, there are things you need to acquire and set up. Buying land that matches the description stated earlier. In a rural but accessible place, you can get land cheaply as the seller solely determines the selling cost. Therefore, in these areas, you will not be at the mercy of the general real estate market. If you are in Lagos, then Ijebu Ode, Remo Area, Imota, and Ikorodu will serve you correctly. Buildings in poultry farms are intended to help in the effective keeping and management of the chickens. While designing and constructing the structures, keep that in mind that cross ventilation and room temperature will determine the rate of poultry growth and feed conversion. If temperatures are too high, poultry will not eat as much as they could, or may not eat at all. This is a no go area for anyone planning for commercial poultry farming in Nigeria. It entails allowing your chickens to roam freely. Can you imagine 1000 chickens roaming freely on the roadside? It involves keeping your birds in a large space without any form of separation. The floor is then filled with a layer of sawdust to convey various benefits to the chickens. The dust is changed from time to time to prevent odor and diseases. This could be a good alternative to most poultry farmers who are limited in financial ability. If well managed, with no overcrowding or overstocking, there would definitely be a high success rate using the deep litter system. This involves housing your birds inside cages. These cages are specially built to cater for both the chicks (little chickens) and their older counterparts. A miniature bowl is also constructed with the cage for feeding. The structure of the cage also allows for eggs to roll down safely when laid and droppings also have enough room to gravitate downwards. The advantage of raising birds in cages is that the issue of cannibalism, feather pecking, and spread of disease is more easily controlled when compared to using the deep litter system. 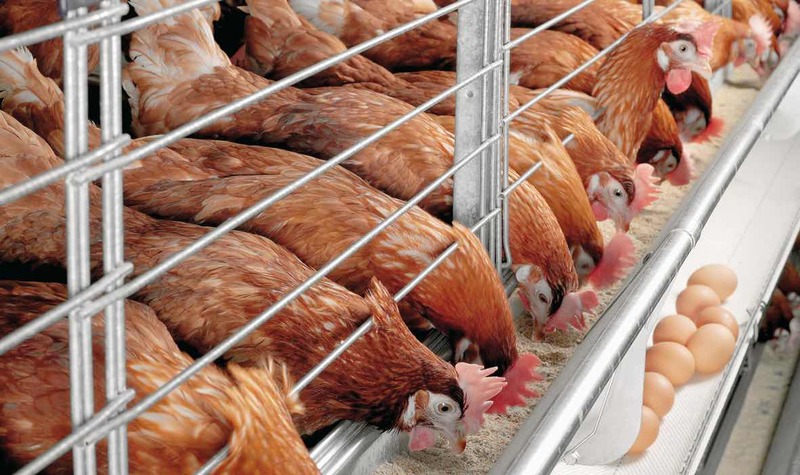 Price ranges from #35,000 to #90,000 or more depending on the type of cage (hot dip or electro galvanized battery cage) as well as its stocking capacity of the cage. 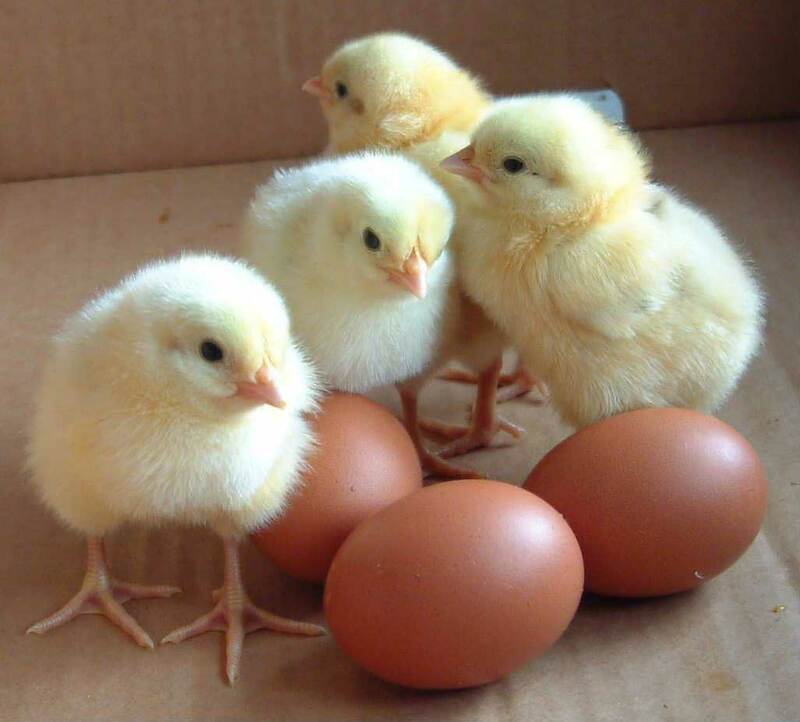 To start poultry farming on the right foot, search for the best hatchery where you can buy healthy day old chicks. Ordinarily, chicks cost around 0.5 dollars (140 Naira), with the highest being around 1 dollar (300 Naira). Note: Chicks require your constant attention in the first seven to nine weeks – especially in the area of temperature control. Light bulbs for heat supply must be available at all time in your poultry farm to keep the chickens warm, especially in cold seasons. Other necessities include Feeders, Perches, Nests, Drinkers, Crates, Lighting System, Incubator, Heaters or Brooders, Egg Trays, Cages, Coops and Waste Disposal System. 1) Inadequate expertise: Any entrepreneur that dives into any business with adequate information is laying a foundation for failure. The best option is to seek adequate training (much more that the scope of this post) where available. Where necessary, hire an expert or a poultry consultant. 2) Unrealistic expectations: Yes, poultry farming is a very lucrative business but it also requires time and consistency. Don’t work out unrealistic profit expectations on paper. You will be hugely disappointed. You need to understand the factors that make profit expectation realizable in poultry farming before you make a realistic income forecast. 3) Starting too big: Dream big but start small. This will minimize your losses and give you ample time to learn along the well. Even when capital is available, take your tome to grow step by step instead of pouring your whole arsenal at once. 4) Death: Have this at the back of your mind: birds die, OK, they die. There’s no way you’ll buy 1000 birds and sell 1000 birds, there will be casualties, most especially when you’re still a rookie. A single flu infestation can wipe out your entire poultry in days. Not to mention predators and other unforeseen circumstances. This is another reason why you need an expert. 5) The absence of a long-term strategy: It is not enough to start your poultry farm in Nigeria, you need to plan how to sell your eggs or broilers long before they start laying or get matured enough for consumption. The longer they stay with you after reaching maturity, the less your profit potential. Prepare ahead. Also, you need to convince any potential long-term customer that you will remain in business for a while. How you will do this is up to you, but do make sure you have a plan. Finally, profit is the heart and soul of a healthy business. With this in mind, when starting a business, one should look to invest in business with the best profit potential. While there are many investment options when starting a business, few can match the potential of poultry farming in profitability. Nonetheless, poultry farming in Nigeria isn’t without its own risks. After analyzing all factors, poultry farming in Nigeria is an adventure well worth your money and time.